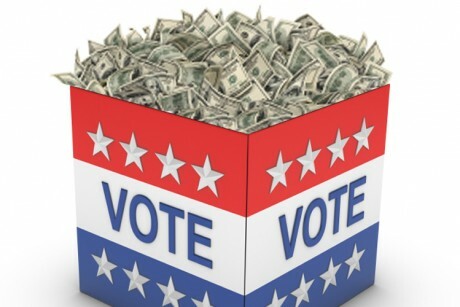 According to the Lansing-based group, Michigan Campaign Finance Network, $34.7 million has been raised by Political Action Committees as of the most recent campaign finance filing deadline. Michigan’s top 150 state political action committees have raised $34.7 million through the October campaign finance reports. That total is the lowest recorded since the 2004 election cycle for the state’s top 150 PACs. The relatively low total reflects the absence of two PACs that topped the state list the last three election cycles: Coalition for Progress, which topped this list in 2006 and 2008, and the Republican Governors Association Michigan PAC, which the set the record as Michigan’s largest PAC ever in 2010. The rest of the top ten PACs are: Senate republican Campaign Committee, $1,552,849; Michigan Association of Justice PAC, $1,495,502; Michigan Education Association PAC, $1,290,563; Blue Cross/Blue Shield PAC, $1,043,396; Michigan Regional Council of Carpenters PAC, $819,043; Business Leaders for Michigan’s SuperPAC, $796,250; United Auto Workers Voluntary PAC, $675,688; and, Michigan Beer and Wine Wholesalers PAC, $675,688. Looking at the top 150 PACs in Michigan, one can see the usual suspects in terms of which companies, associations and sectors are trying to use money to influence the electoral outcome. The state Chamber of Commerce and several regional Chambers have given over a million, trade unions have given over a million, and several political party affiliated groups have done the same. In addition, energy focused groups like DTE ($544,261), Michigan Petroleum Jobbers ($110,270) and the Michigan Petroleum PAC (68,122) are giving to both oppose Prop 3 and buy influence on oil & gas policy in the state. Other sectors like the telecom and the automotive industry are buying influence and on the local level the DeVos family has given $500,000 through their group Great Lakes Education Project to push their privatizing/voucher-based education system. To see a list of the top 150 PACs in Michigan as of now go to this link.